Simple brick brackets, now painted green, are all that remain of the wooden fascia board and cornice. For years Reade Street, first mapped in 1761, represented New York City's northern boundary. The block between West Broadway and Greenwich Street was part of the "Church Farm," granted to Trinity Church by Queen Anne. Around 1800 the church began to offer house plots with 21-year leases. Trinity's Income of the Church dated April 16, 1811 noted "One lot, No. 135 Reade street, New York...$74.00." The designation of "lot" makes it unclear if a house had been erected there yet. But if there were, it was gone by 1839 when the Van Orden family lived in the modest brick Greek Revival home there. The extended Van Orden family was prominent in New York politics, visible in Whig meetings and conventions. But it was Mrs. Van Orden's mother, Hannah Gouge, who was the remarkable occupant of No. 135 Reade Street. Hannah was born on September 4, 1735. By the time she moved in with her daughter and son-in-law, she was twice widowed. She had married Edward McCollum on August 27, 1771. In 1774, just before the outbreak of the Revolution, he enlisted in the state militia known as the Foresters. According to Hannah later, he suffered horribly as a British prisoner. His confinement, she said, caused "severe illness" and "at last had both of his feet frozen so badly as to render him a cripple for a long time, and compelled him to walk on crutches." Edward McCollum died about 1788. She then married Joseph Gouge, who died around 1800. Hannah seems to have been financially stable. She owned stock in the Mechanics' Bank in the City of New York in 1833, for instance. But when Congress passed the Pension Act on July 4, 1836, she nevertheless sought to receive Edward's benefits. Doubtlessly many people were astonished when the Government turned down the century-old widow's petition. The succinct decision read "Her husband did not serve so long as six months." It does not appear that she was willing to let the matter drop, however. When President Martin Van Buren was in town in the summer of 1839 she went straight to the top. On Saturday morning, July 6, Hannah boldly went to his hotel and asked for a meeting. The Morning Herald did not hide its disdain of Van Buren, who was a member of the Democratic-Republican Party, and sarcastically referred to him both as "his Democratic Majesty" and "his Republican Highness." The newspaper reported "His Majesty, who is particularly gallant to beau sexe; made some inquiry concerning this early visitor, and was informed that she was no less a personage than a venerable relic of the revolution, who had been presented to every President of the republic, not even excepting General Jackson, and that she was particularly anxious to have an audience of one who had so sedulously trod in the footsteps of his illustrious predecessor." Van Buren escorted her into his parlor where he asked about her health and "her reminiscences of the times which tried men's souls." Hannah explained that not only had her husband fought in the war, but "that she lost three gallant sons in that eventful struggle." The newspaper explained to its readers, "Her name is Hannah Gouge, and she now resides at 135 Reade street, and although she has attained the extraordinary age of 104 years, yet she still retains the possession of all her faculties, and has a most perfect and vivid recollection of her visit to General Washington, and relates many anecdotes of him and his staff officers." Although Hannah seems to have entranced the President, if her mission was to obtain the pension, she failed. Astonishingly, Hannah Gouge lived on with the Van Orden family in the Reade Street house for another five years. She died on Sunday evening, October 19, 1845 a month before her 110th birthday. Her funeral was held in the house two days later. Seemingly reporting the obvious, The New York Herald attributed her death to "old age." By 1851 No. 135 was being operated as a boarding house. One resident was seeking work that winter. On Christmas Eve he placed an advertisement, signed merely T. C., in The New York Herald: "A young man is desirous of obtaining a situation in a store; can work at painting and glazing, if required." By 1860 it was a rooming house, no longer providing meals. An advertisement offered "To Let--To one or two gentlemen, a furnished room, without board, with the privilege of a good fire." Shoemaker Thomas Hayes leased a room in the house in 1871 when he was witness to a horrific crime on May 16. At around 10:00 that night he heard a woman crying out "Murder--help!" He rushed to his window and realized the screams were coming from next door, at No. 133. William Rudd and his wife, Josephine, lived on the third story. An argument turned to deadly violence. Hayes testified in court later that year that just as he looked out his window, Rudd pushed Josephined out the window. She "clung for a moment to the window sill, and then a man's head was put out and the woman's hold appeared to give way." Josephine fell to her death. By now the ground floor of No. 135 had been altered for business purposes. In 1874 it was the editorial office of The Pythian Record. Four years later, in January 1878, the lease-holder, J. McLachlan, leased the store space to G. A. Hendricks for a restaurant. It would be the beginning of a long tradition of restaurants or saloons at ground level. Hendricks did not remain long; but his improvements were significant. An advertisement in The New York Herald in May that same year offered "For Sale--A lunch bakery and dining saloon; good brick oven, steam boiler, and every convenience for doing a large business." The restaurant-saloon was run by Henry Doscher in 1897. Before long he held the leasehold on the entire building. For years he had a deal with Bernheimer & Schwartz, owners of the Lion Brewery, to sell only their beer and ale in his saloon. The Doscher saloon remained in the building at least through 1906. In the meantime, tenants still rented rooms in the upper floors, like 70-year old Henry Daenmaen who died on Christmas Day in 1902, and 38-year old Jacob Knott who was one of two dozen New Yorkers who died of the intense heat on a single day, June 7, 1908. By 1917 Auguste Otte and his son, Rudolph, ran the restaurant. While World War I raged, the Government enacted "Meatless Tuesdays" in an effort to conserve rations. The slogan "Food Will Win the War" appeared on posters throughout the nation. The Ottes apparently did not get the memo. On March 10, 1918 the New-York Tribune reported "The Tuesday menu of Rudolph Otte, owner of a cafe and lunch counter at 135 Reade Street, was: 'Pork chops, steak, roast pork, roast beef, goulash, corned beef.'" Otte and dozens of other proprietors had been called before Food Administrator Williams the day before. "Otte confessed that he had never heard of meatless days and didn't know that this country was trying to save foodstuffs for the men at the front," said the article. "What paper do you read?" asked Williams. "The German Herold," said Otte. "The German Herold prints the regulations. Next." In consequence, the Ottes' business was closed the following Tuesday and a sign hung on the door: Closed for the day for violation of the regulations of the United States food administration. When Prohibition was enacted in 1920 it changed everything for the business at No. 135 Reade Street--or at least it was supposed to. Policeman Carl Zipf took his job and the 18th Amendment seriously. 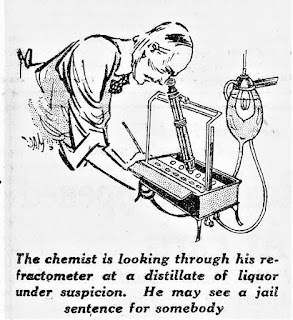 On April 14, 1921 he devised a sneaky scheme to root out bootleggers that involved wearing street clothes rather than his uniform. The New-York Tribune reported "Pausing before the building at 135 Reade Street, which formerly housed a licensed saloon, he leaned against the wall, clutched himself at the second button of his single-breasted sack suit, and began to moan." The porter, Leo Busch, heard the sounds of distress and came out to help. Zipf "gasped a plea for a drink." And when Busch returned with a glass of whisky, the officer "straightened up, and, placing a soft hand on Busch's shoulder, informed him he was under arrest." Prosecuting Busch was not so simple as arresting him. Zipf had to transport both his prisoner and the whiskey. Busch was held in The Tombs and the whisky was transferred to a vial, labelled with the name of the defendant, and taken to No. 125 Worth Street where Prohibition chemists would analyze the liquid to determine whether it was or was not liquor. The New-York Tribune thinly veiled its contempt for the policeman's questionable methods. 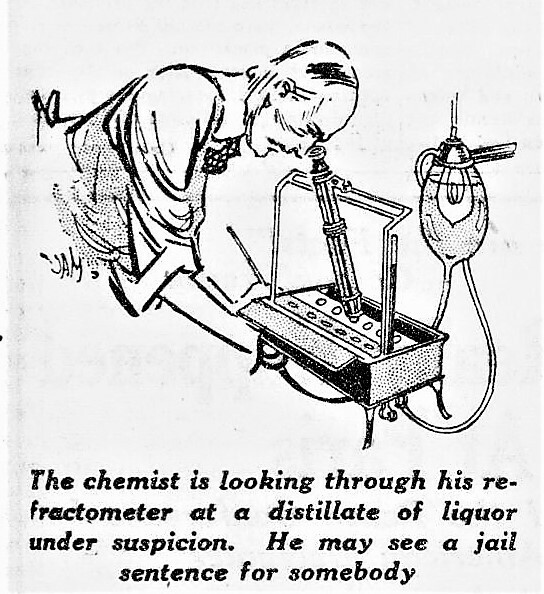 It reported that after dropping off the vial, he "returns to his hunting preserve and presumable continues to look for more suckers to play Samaritan opposite his role of agent provocateur, and awaits the day of the Busch trial." In 1945 the Episcopal Church sold No. 135 Reade Street to real estate operators John H. Borger, Inc. At the time the property was assessed at $28,000--about $375,000 today. Prohibition had ended 12 years earlier and the ground floor returned to its long tradition of housing a tavern. In the 1970's it was home to Morgan's Grill, and by 1986 McGovern's Tavern was here. The New York Times described McGovern's that year as a "longtime TriBeCa handout where truckers sidle up to the bar beside young urban pioneers" and noted it "predates the arts-and-trends crowd." In 2003 the space became the Reade Street Pub. Miraculously surviving more than 175 years of progress, the building's cornice was lost decades ago, replaced by a brick parapet; cast metal lintels were installed over the brownstone originals; and the 19th century storefront has been remodeled numerous times. Nevertheless, the Van Orden house where a feisty 109-year old widow once lived, still retains much of its domestic appearance. As always, great and informative. I fondly remember Morgan's from the late 1970's.